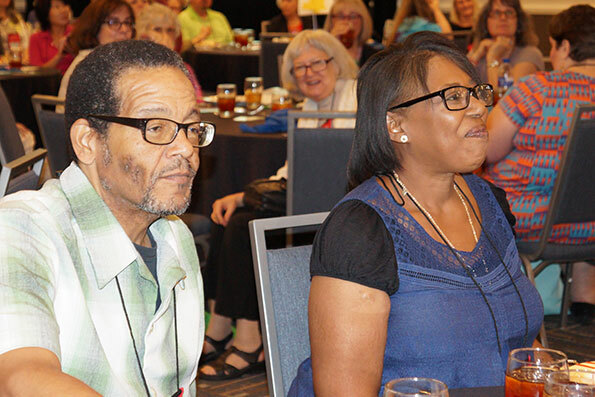 The AATH Annual Conference provides you with an opportunity to apply for nineteen scholarships to the 2019 conference that cover registration fees. Each Scholarship has specific guidelines, so please review carefully. You may apply for up to three scholarships but, if chosen, may only receive one award. You must apply for each scholarship individually. 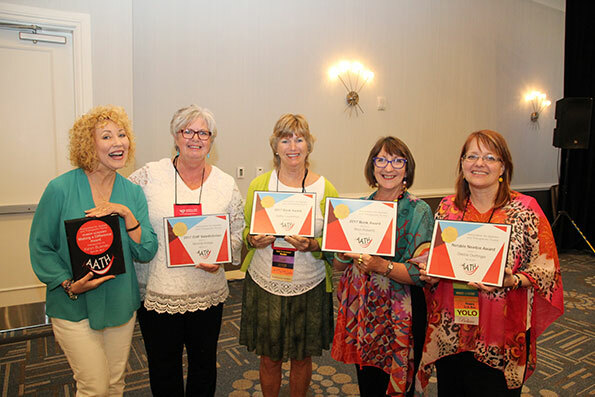 While preference is given to AATH members, many non-members have successfully applied and have been awarded scholarships. 2019 Scholarship Application deadline was October 31, 2018. 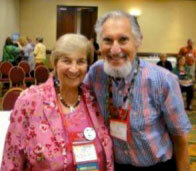 In Honor Of: This scholarship is given in honor of Sol Hitzig, AATH member and husband of Joyce Saltman. Sol was a loving, caring, man who never carried a grudge, and did all he could to help as many people as he was able. An easy-going man, Sol was always ready to join a new adventure, show, lecture or any other activity with friends. 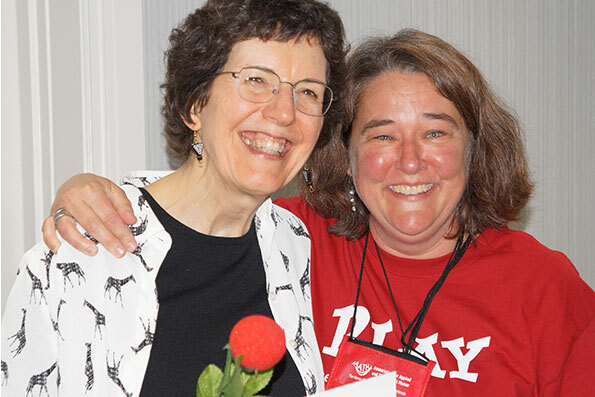 Scholarship Eligibility: The Sol Hitzig scholarship will be awarded to a first-time attendee of the AATH annual conference, who is interested in learning more and ready for a new adventure! 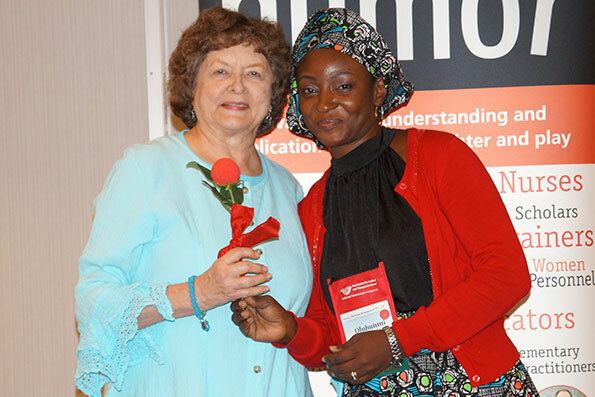 This scholarship is for AATH conference registration conference only. 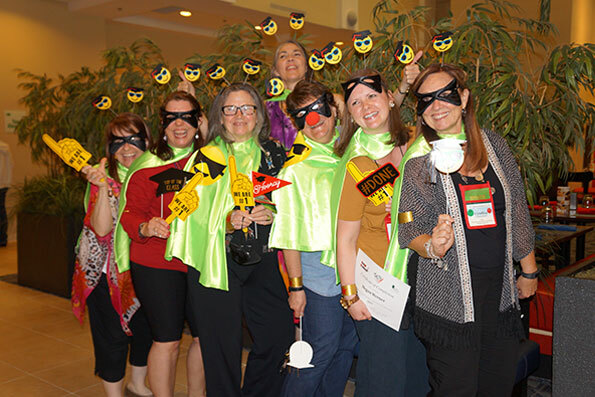 Applicants will submit an essay (up to 250 words) describing how you are currently using humor in your professional or academic life and how you will use the information found in the AATH conference to further your work. 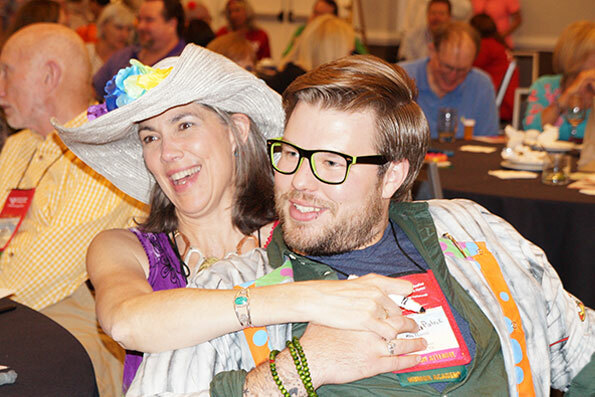 In Honor Of: This scholarship is given in honor of Gay Ruble Bowen, mother of AATH member Jennifer Keith, who raised her girls with this motto: "We may not have much money, but we will laugh a lot." In fact, she and her three daughters developed a pantomime routine to the one-hit-wonder Mark Dinning's 1959 ballad "Teen Angel" which reminded them to find the funny in a situation. Scholarship Eligibility: The Teen Angel scholarship will be awarded to a professional who is currently working with teens (middle or high school or college level) in a teaching, counseling or mentoring capacity and wants more tools to bring back to use with those young people. 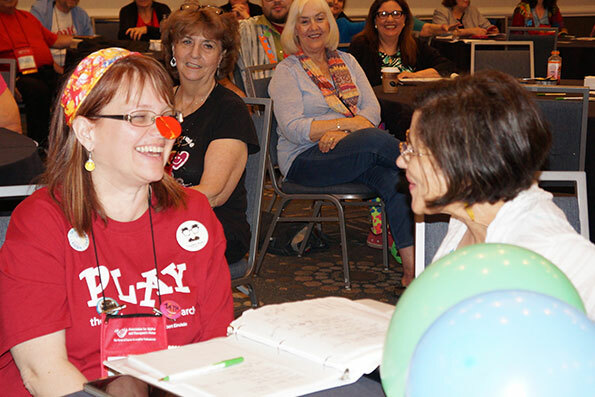 Applicants will submit an essay (up to 250 words) describing how you are currently using humor to work with teens and how you will use the information found in the AATH conference to further your work. 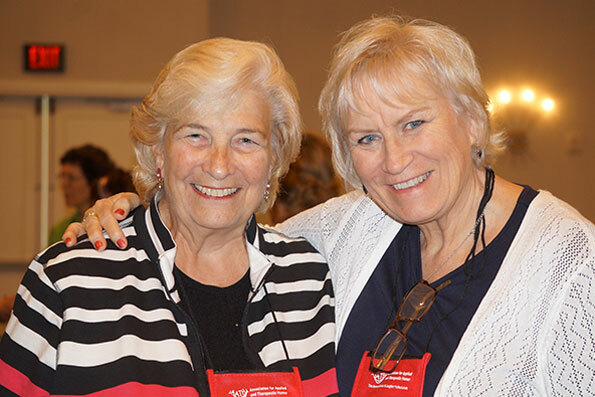 In Honor Of: This scholarship was created by past AATH presidents from Nebraska, Shirley Trout and Nila Nielsen. Nila lives the Good Life as a retired elementary principal in Omaha, Nebraska. She registered to attend the Humor Academy not having any background in humor theory, but was eager to learn. On the first day of the Academy, she knew she had found her humor family. 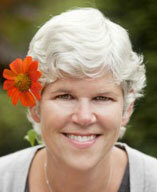 Nila is Immediate Past President and currently serves as a Humor Academy Director and Instructor. Both Shirley and Nila are Certified Humor Professionals. 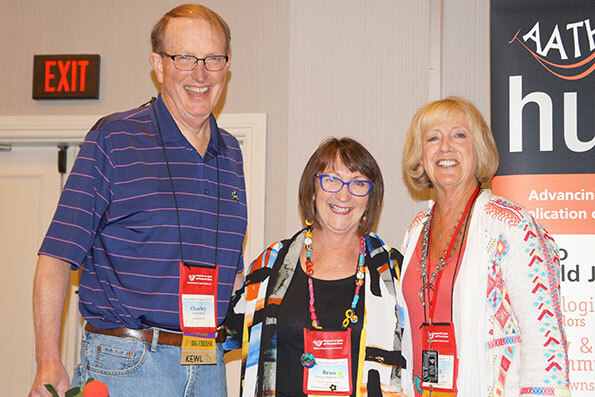 Scholarship Eligibility: Nebraska’s marketing tag is, “The Good Life,” and the lives of two past AATH presidents from Nebraska have benefitted from both living in Nebraska and participating in AATH leadership. 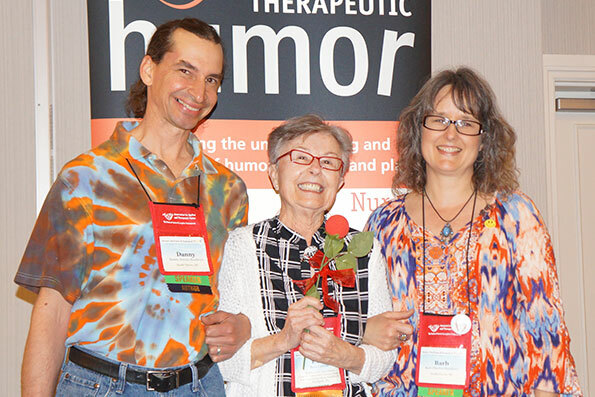 The “Nebraska Good Life” Humor Academy Scholarship is to be awarded to an individual who recognizes the value of utilizing humor in everyday life and who wants to become better informed about evidence-based therapeutic humor by enrolling in the Humor Academy. Describe your ‘Good Life’ story — either how humor you initiated made another person’s life better, or how you have experienced the therapeutic value of humor in your own life. Describe how participation in the Humor Academy could impact your life. 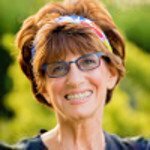 In Honor Of: This scholarship was created by Barbara Grapstein and the Gold Coast Giggles. 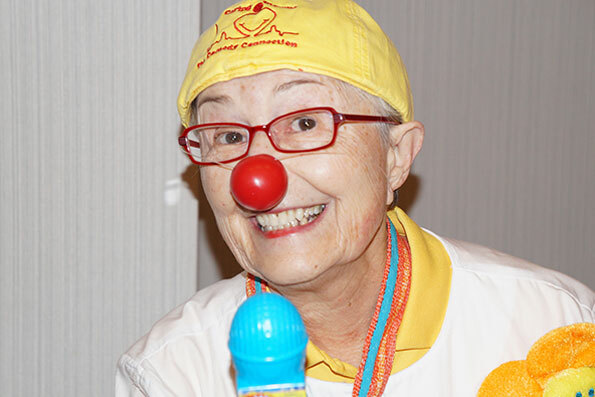 This conference scholarship will be awarded to a "Caring Clown," active in hospital and/or community healthcare environments, bringing smiles to patients and/or residents, young and/or old, in need of gentle comic relief. This scholarship is for conference registration only. What prompted you to become a "Caring Clown?" 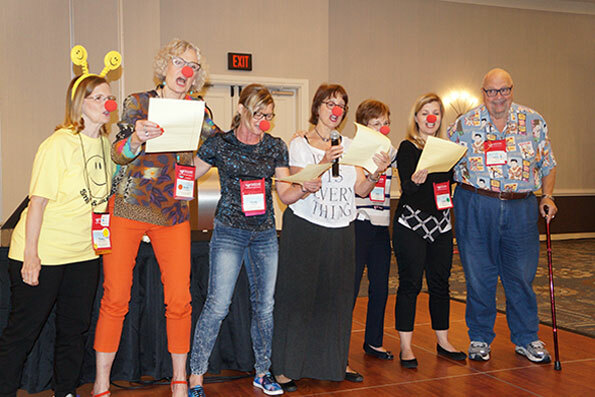 How do you presently apply your knowledge and skill in the "Caring Clown" community? 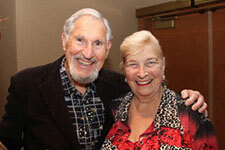 In Honor Of: The Esther and Jack Hyatt “Senior Care” scholarship is given in honor and memory of Esther Hyatt, devoted AATH member, who demonstrated good humor, grace, verve and a spirit of determination in the face of life's many challenges. a) an "Active Senior" who seeks to revitalize, reinvigorate and re-energize with humor and laughter. b) to a Senior Caregiver (family member/volunteer or a professional) who is coping with the challenges associated with providing such care. How does humor play a critical role in your daily life, as it relates to improving the world immediately around you? Give at least 2 examples of how your "shared use of humor" has helped both you and the senior(s) for whom you provide regular care. 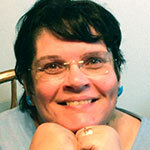 Scholarship Eligibility: This scholarship was created by AATH member Dwayna Covey, M. 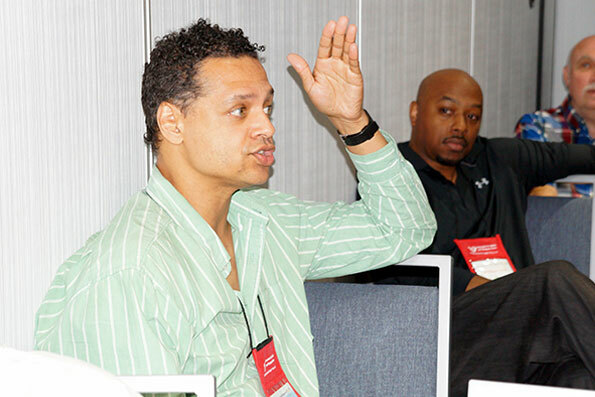 Ed., founder of New Season Coaching. The Covey Healthy Humor in Medicine scholarship is for a Medical Resident or Medical Student who would like to learn more about the benefits and use of therapeutic humor in health care. This scholarship is for AATH conference registration only. Applicants will submit an essay (up to 250 words) describing why you would like to learn more about the use of therapeutic humor in the medical field. 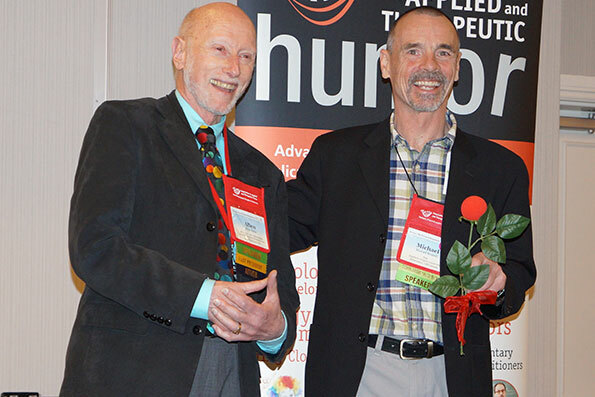 In Honor Of: Dr. William (Bill) Fry, devoted AATH member, humor researcher renowned for his generosity and approachability. Bill Fry constantly sought ways to make himself available to new researchers, enthusiasts, and all friends of humor. Before email, he sent articles he wrote by U.S. Mail, without any commercials or expectation of being paid for sharing his expertise. He also approached the exploration of humor as also a form of play, so the humor wasn't lost in the science. This scholarship pays for one year of the AATH Humor Academy only. Scholarship Eligibility: The William (Bill) Fry Humor Academy scholarship is for a Humor Academy member interested in pursuing research in the science of humor. This scholarship was created by Beth Usher and her family. 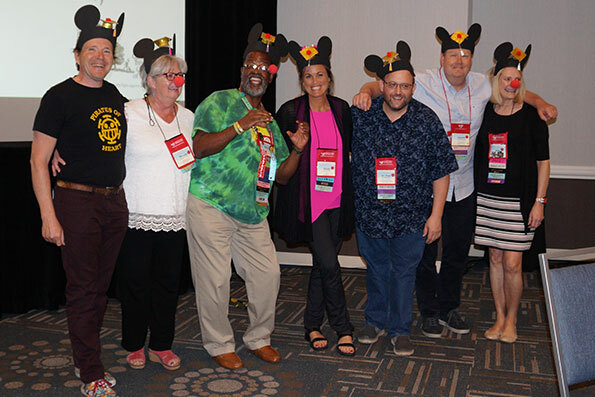 Scholarship Eligibility: The Beth “BE THeHappiest” scholarship is awarded to an individual who aspires to attend the AATH Humor Academy and who has faced life's challenges with humor, optimism and compassion for others. 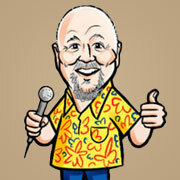 This scholarship is for $350.00 for the first year of AATH's Humor Academy. Applicants will submit a essay (up to 250 words) describing how humor has helped you overcome challenges in your life and how you use humor to help others. Scholarship Eligibility: The Joyce and Sol Special Education scholarship is awarded to a K-12 special education teacher. This scholarship is for one conference registration only. Applicants will submit an essay (up to 250 words) explaining why using humor is an important component for teaching exceptional children. These generous CTCA scholarships will provide recipients with conference registration, as well as an opportunity to participate in the Humor Academy (HA) program, if desired by the applicant. a) CTCA “Medical Classroom” Scholarship: Awarded to an Educator currently involved in creating humor interventions for patients. b) CTCA “Oncology Patient/Survivor” Scholarship: Awarded to a current oncology patient or cancer survivor who uses humor to positively impact his/her own well being and that of those around them. c) CTCA “Practitioner” Scholarship: Awarded to a current oncology healthcare practitioner (doctor, nurse, therapist, social worker, etc.) who uses humor to create positive interventions for the patients and/or staff around them. d) CTCA “Stellar Volunteer” Scholarship: Awarded to an AATH volunteer who has provided enthusiastic leadership to the organization over several years. 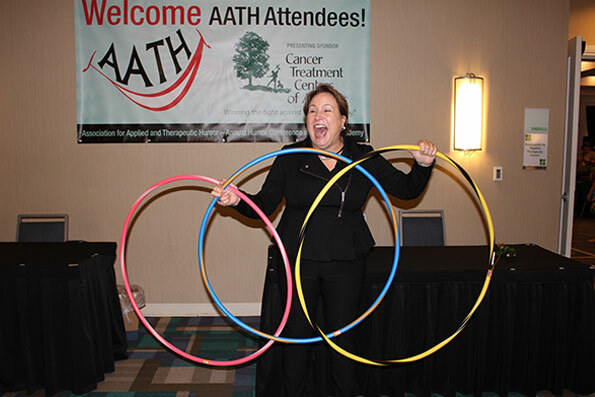 In Honor Of: This scholarship was created by AATH membership to honor the work, dedication, commitment and contribution to AATH and the field of therapeutic humor by our past conference chair, Ed Dunkelblau. Scholarship Eligibility: The Ed Dunkelblau Scholarship is awarded to a practitioner of color, or researcher, interested in the cultural or scientific applications of therapeutic humor. Applicants will submit an an essay (up to 250 words) demonstrating your interest in therapeutic humor, documenting your work in the field of therapeutic humor, and expressing your awareness of the mission of AATH. 2005 - Michael J. Fletcher & Dorothea Keeling, M.Ed. 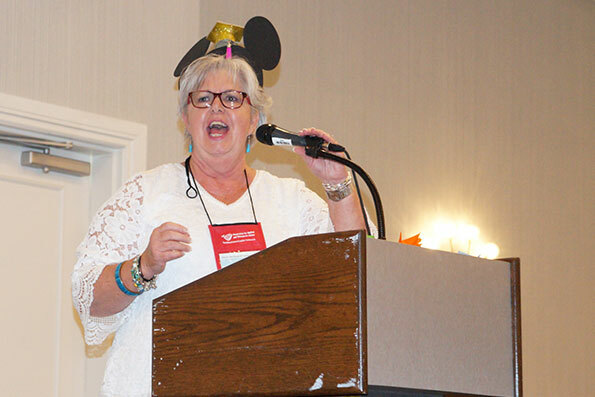 In Honor Of: The Patty Wooten scholarship was created by AATH members to honor the work, dedication, commitment and contribution to AATH and the field of therapeutic humor by our past conference chair, Patty Wooten. 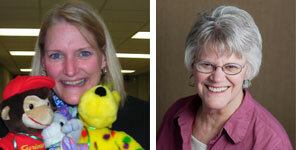 Scholarship Eligibility: The Patty Wooten Scholarship is awarded to a nurse who is currently involved in creating humor interventions that are being used in a therapeutic manner for patients, family and/or staff. Applicants must be a nurse- R.N., L.P.N., L.V.N., or C.N.A. Applicants will submit an essay (up to 250 words) describing how you perceive humor to be therapeutic and how your work, program, or intervention efforts have benefited patients, family, or staff. 2014 - Amil Kusain Tan Jr. 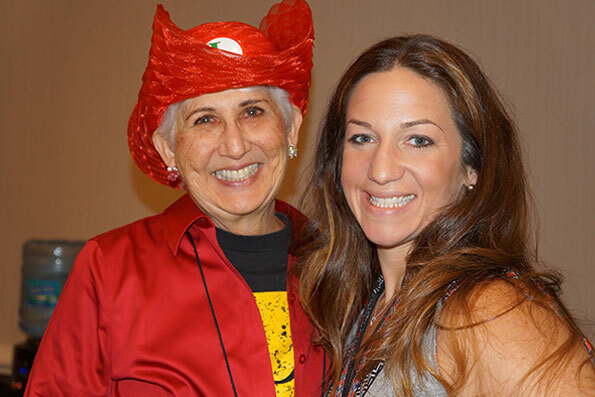 In Honor Of: This scholarship is named in loving memory after Margie Klein, the mother of Allen Klein, 2005/2006 president of AATH. Throughout the 95-plus-years of her life, Allen's mother continually used her sense of humor and was inspirational in Allen's teaching others about the power of humor. This scholarship is for the conference registration only. Scholarship Eligibility: Applicants will submit an essay (up to 250 words) describing how humor helped you in work-related situations. Examples can come from the corporate world, the nonprofit arena, or the self-employed. If possible, please provide at least three examples. Clarity. How well did the candidate explain how humor helped them (or others) in a work-related situation? Innovation/originality/creativity. To what extent is the candidate's story or situation original or creative? Impact. What additional considerations are relevant to this candidate's application (personal need, impact on others, useable ideas for work-related situations)? After her two sons were on their own, Margie got a job at a major household appliance company. As a customer service representative, she got a call from a socialite who complained that she was having an important dinner that night and her dishwasher, with all her dishes in it, was not working. The woman insisted that a repairman be sent immediately. Margie told the irate customer that it was impossible; the repairman would be there in the morning. The woman then shouted, “And what am I supposed to do? I have twelve people coming for dinner tonight and I don't have a clean plate in the house.” Margie calmly replied: “Use paper plates.” That was her first and last day on the job. Created by Lenny Ravich, Director of the Gestalt Institute of Tel Aviv. 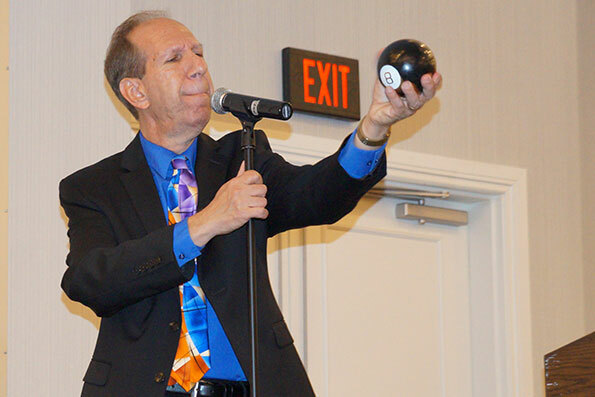 Scholarship Eligibility: The Lenny Ravich scholarship is awarded to an individual whose work in humor and laughter clearly and tangibly demonstrates a commitment to world peace. This scholarship is for conference registration plus an additional $100 presented on site (in US funds) to help offset other travel costs. How do you presently apply (or plan to apply) your knowledge and experience in humor and laughter to advance world peace? How has your mission and purpose in life brought you to this moment? Why do you feel that you are deserving of this scholarship? This scholarship was created by AATH past president Jill Knox and her family. Scholarship Eligibility: The Knox Family Humor for Peace scholarship is awarded to an individual who is involved in the practice of humor in order to promote peace, either locally or globally. The scholarship is for one conference registration and one Humor Academy registration. How do you, personally, define the words humor and peace? How can the concepts of humor and peace be aligned in order to create a better world? How are you presently using humor in order to promote peace? How might you apply humor and peace for future use? 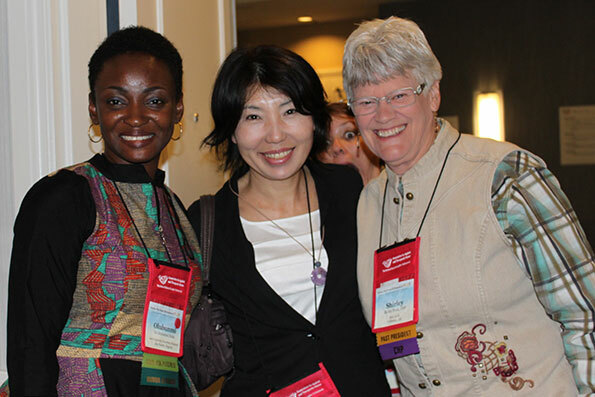 How might attending the AATH conference be beneficial to your practice of peace? 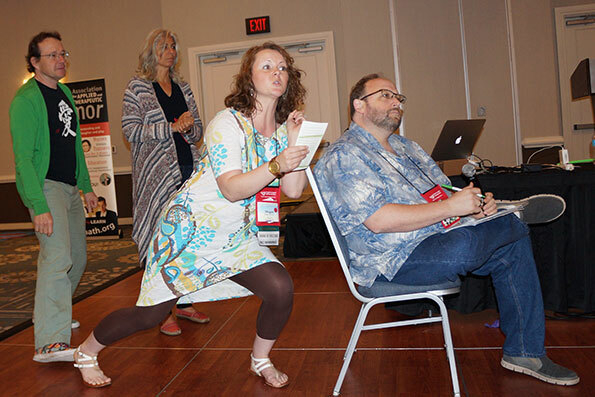 In Honor Of: This scholarship is given in honor of Steve Wilson, senior core professional and devoted AATH member, psychologist and self-proclaimed “Joyologist,” 1998 founder of the Would laughter Tour. 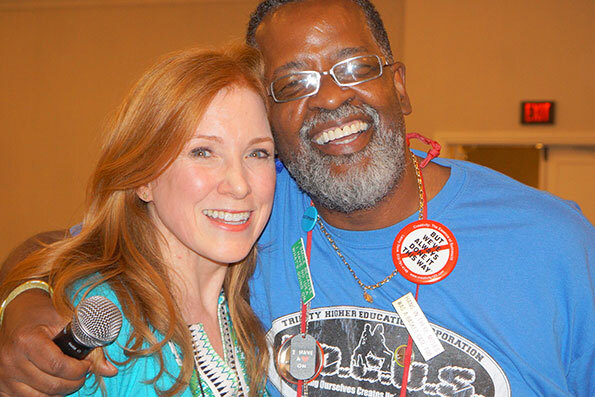 Scholarship Eligibility: The Steve Wilson Certified Laughter Leader scholarship is for any current Certified Laughter Leader (CLL), CLL-E or CLL Trailblazer who wants to add value to their own CLL practice, and further their education and application of therapeutic laughter and humor. This scholarship can add to the World Laughter Tour Grand Vision: Together we can lead the world to health, happiness and peace through laughter. 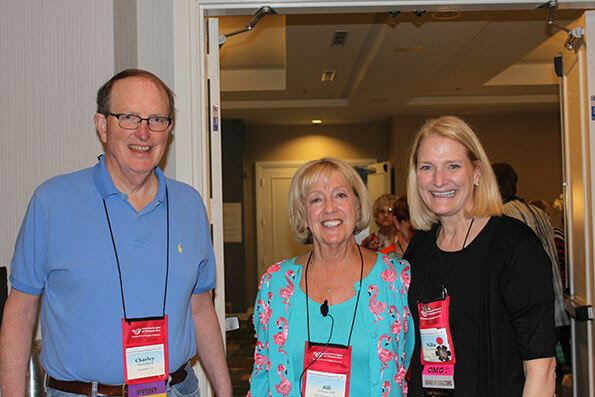 The scholarship recipient should be willing to write a summary of AATH conference keynotes and breakout sessions attended at the conclusion of the conference. Applicants will submit an essay (up to 250 words) describing how you are currently using Certified Laughter Leader Guiding Principles in your life and in application: Service, Spirituality, Community, Accuracy (about science and studies), and Value. If, in the opinion of the scholarship committee, there are no suitable entries for a particular scholarship, that scholarship may not be awarded. Scholarships are awarded for the specified conference year only and cannot be carried forward to future conferences. Submitted essay responses should not exceed 400 words, unless otherwise directed. For the 2018 Conference, applications must be received by October 31, 2017.